Whether you are looking forward to watching the Big Game or you’re just in it for the commercials, food is key to an amazing Big Game party! Let me be honest, I don’t like to watch football! The truth is, most of the time I don’t even know what is happening. So I try to hide my ignorance by excusing myself to cook delicious food for everyone to enjoy throughout the game, while showing up for the halftime show and all the cool commercials. My goal this year is to inspire you, my readers, to be creative and make something different for your Big Game party. 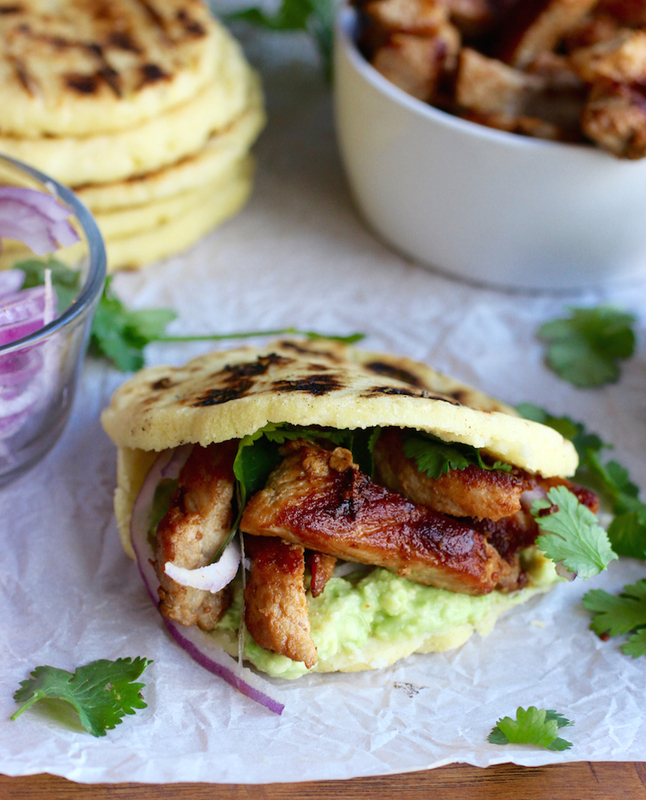 Instead of the usual, chicken wings and pizza, let’s make one of my favorite recipes, Pork and Avocado Stuffed Arepas. This dish is simple, delicious and bursting with flavor, but also easy to make and perfect for watching the Big Game! If you are not familiar with arepas, they are basically corn cakes made with precooked corn flour and are very popular in Colombia and Venezuela. 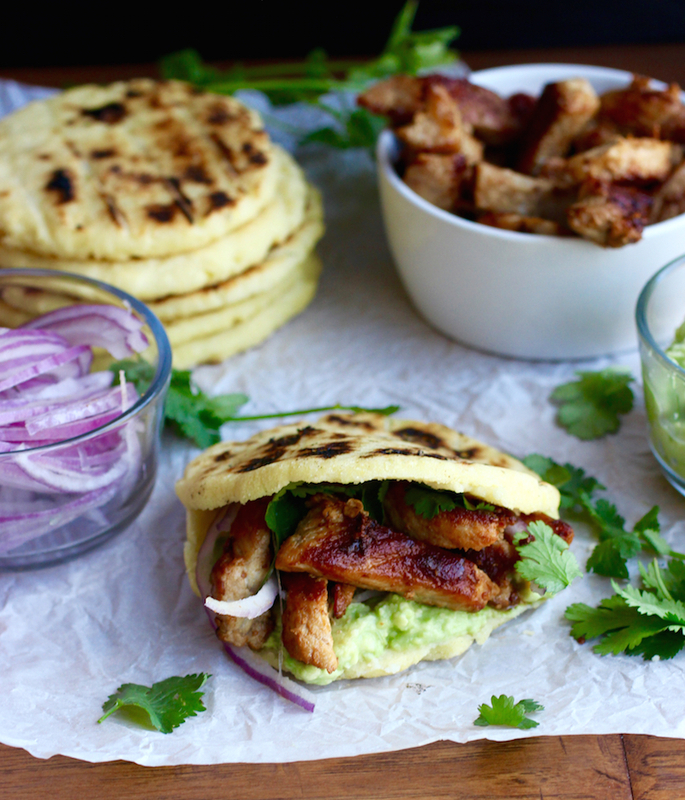 The arepa is one of my favorite dishes and they can be stuffed or topped with many different ingredients. 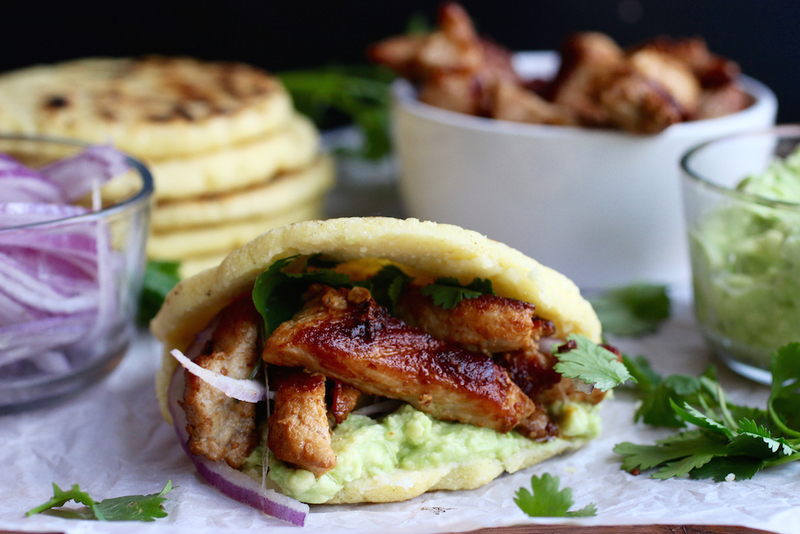 As an arepa lover, I’m always looking for new ways to enjoy them. This time I stuffed them with pork, avocado, cilantro and red onions. The Hatfield Quality Meats Roasted Pork Loin Filet was a perfect stuffing for my arepas. I loved the flavor so much that I didn’t have to marinade the pork before cooking it and that was a huge time saver for me. 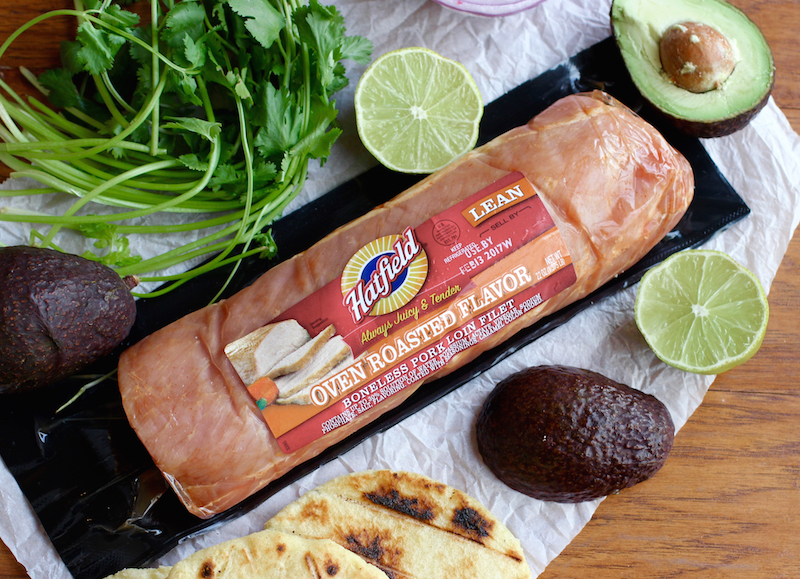 The Hatfield Quality Meats Roasted Pork Loin Filet can be cooked in the oven, on the grill or on the stovetop. 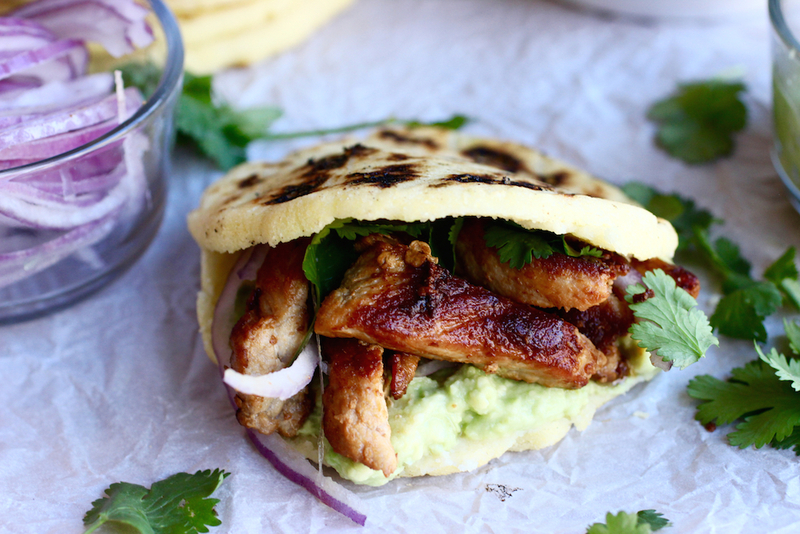 For my Pork and Avocado Stuffed Arepas, I cooked it on the stovetop in a skillet for 12 minutes. How’s that for quick and easy? For more delicious recipes and inspiration, visit the Hatfield Quality Meats Big Game page. They also have an interactive build-your-own game-day playbook on their site where you can get simple meal recipes customized to your game-day event. 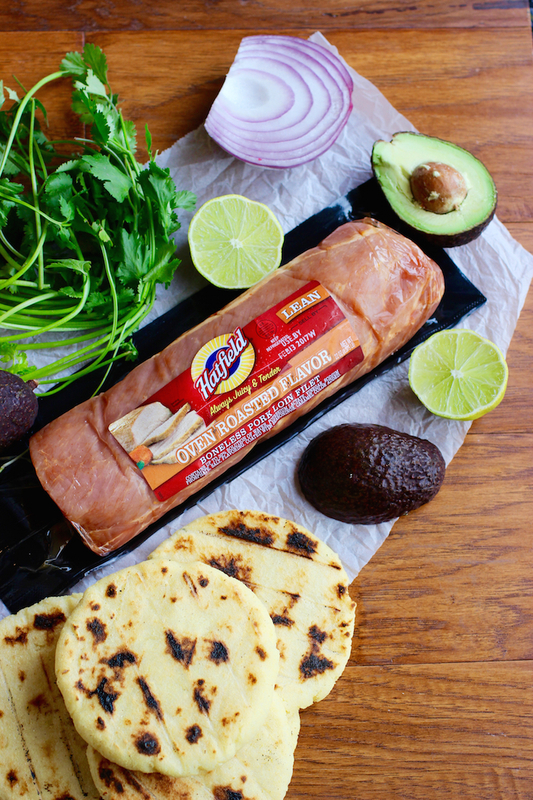 Connect with Hatfield Quality Meats on social media! How about you? What are you making for the Big Game? Leave your answer below in the comment section and it will be automatically entered to win a $100 Visa Gift Card. This sweepstakes runs from 1/26/2017 – 2/26/2017. To cook the pork: In a large sauce pan, heat the oil over high heat, add the strips of pork loin and cook for about 10-12 minutes or until browned, stirring frequently. Keep aside on a warm plate. In a small bowl mash the avocado and mix with lime juice and salt. Keep in the fridge until ready to assemble the arepas. To make the arepas: In a medium bowl add the water, arepa flour, butter and salt. Mix with your hands, making circular movements while breaking the lumps that may form with your fingers, until you have a dough. Let rest for 5 minutes. Preheat a non-stick skillet over medium heat. Form balls and flatten them gently until they’re about 1/2 inch thick discs. 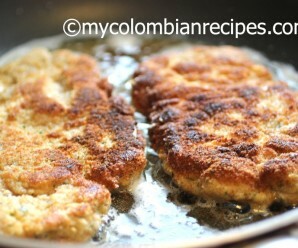 Place the discs on the skillet and cook the arepas for about 3 minutes on each side or until lightly golden brown. Cover them with aluminum foil to keep them warm. 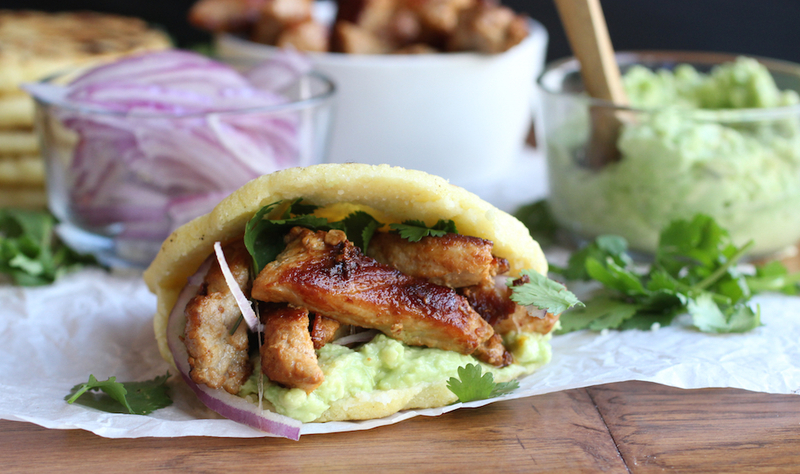 Split each arepa in half and fill them with pork, avocado mixture, cilantro and onion slices and serve. I am making chicken sloppy joes. thanks for the chance. 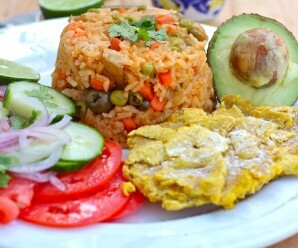 I am a gringa and love to prepare Colombian food in Chicagoland. 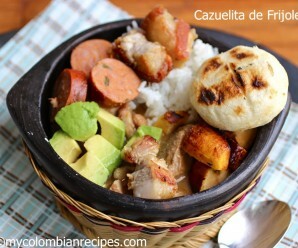 I am looking for a good sancocho gallina recipe. How about Mamitas? 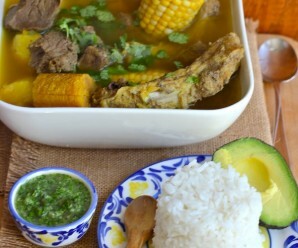 I have the carne sancocho down, but want to learn gallina. One recipe i found had to,atoes in it and i have never eaten it that way. I don’t think I will be making anything for the big game. I will be making chicken wings, nachos, salad, brownies. I will be making teriyaki meatballs, homemade guacamole and salsa and chips, mini sliders and cupcakes for the big game! I’m making 7 layer taco dip and probably also pizza bites. We’ll have chili in the slow cooker. We are making Pizza, vegetable rice, Salads and the Hatfield Quality Meats Roasted Pork Loin Filet. I am planning on making Buffalo Chicken dip and loaded potato skins. Those look delicious! I am thinking about making Meatball Sliders but I might make this instead! I am making honey BBQ chicken strips and pork cabbage dumplings. For the big game I plan on making shredded beef sandwiches and nachos. I am not cooking this year for the game…we are going out and will probably eat burgers and sweet potato fries, or maybe wings. But I am pinning this recipe to try very soon…it looks so delicious! I will make a bread bowl with spinach dip. I will be making chicken wings, nachos and chili. We are having hamburgers, veggie, fruit and cheese plate, spinach dip and chips. We like bean nachos so that is what we will be having. https://twitter.com/areck0001/status/826616916030681089 here is the link to my tweet. I absolutely must make this!!!! Let’s see for the Big Game Day I am making nachos, wings, hamburgers and lots of dips for the chips. I am making chicken wings & chocolate cupcakes! My kids really love buffalo chicken wings for football games, although we might just do a pizza. I love veggies and dip. I’m making philly cheese steaks and cheese sticks with marinera sauce for the big game. that looks delicious but i just made a queso dip with tortilla chips for the big game! I made pulled pork sliders with maple-chipolte BBQ sauce!! My wife had to work (in her eyes, she got to work) so it was just me and the boys watching the big game. We had homemade pizza, mine was topped with mozzarella, caramelized onions, roasted garlic, arugula, smoked gouda and anchovies! My oldest had a pepperoni pizza and my youngest had cheese. I shared on Twitter: https://twitter.com/FireRunner2379/status/829040242585894912. We made wings, meatballs and mozzarella sticks. Thanks so much. I made chili with tortilla chips. I made chicken wings. can’t wait to try this out for other gatherings! I made a big pot of Caldo de Res. I am making pulled pork quesadillas and homemade guacamole and fresh pico as well as some smoked wings! For the big game we all had hot chicken wings and drummies. Along with cocktail weinies, guacamole dip chips and veggies. I will make tacos. Thanks for the nice giveaway! Sweepstakes entry- We had nachos, pizza & sub sandwiches. I didn’t make anything special for the big game. My snacks are usually chips and dip. I am making for Seered Alaskan King Crab the Big Game! How delicious. Nice large King Crabs served with both melted butter and red cocktail sauce. I’m not sure, maybe some homemade pizza.